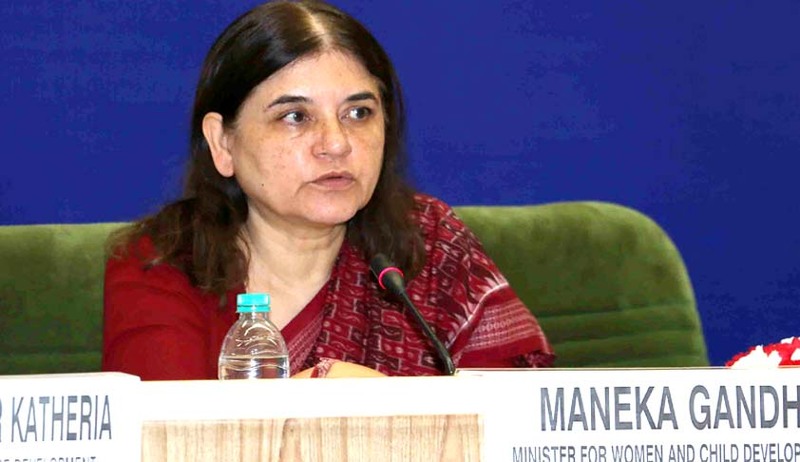 The Union Minister of Women and Child Development, Smt Maneka Sanjay Gandhi released the Draft Model Rules under the Juvenile Justice (Care and Protection of Children) Act, 2015 in New Delhi today. The draft rules have been released for stakeholder comments and suggestions. The Juvenile Justice (Care and Protection of Children) Act 2015 has come into force from 15th January, 2016 repealing the Juvenile Justice (Care and Protection of Children) Act, 2000. The Act is a comprehensive law with strengthened provisions for children in conflict with law and those in need of care and protection. Some of the key features include: special provisions for children who commit heinous offences in the age group of 16-18 years; inclusion of new offences committed against children, which were so far not adequately covered under any other law, such as giving intoxicating liquor or narcotic drug or tobacco products to children, sale and procurement of children for any purpose, corporal punishment in child care institutions, etc. ; mandatory registration of all Child Care Institutions with punishment in case of non-compliance; and giving statutory status to the Central Adoption Resource Authority (CARA) to enable it to perform its function more effectively. The Draft Model Rules, 2016 that repeal the Model Rules, 2007, are based on the philosophy that children need to be reformed and reintegrated into society. The Rules are appreciative of the development needs of children and therefore best interest of the child along with child friendly procedures is incorporated across the provisions and is the primary consideration. One of the key features of the JJ Act, 2015 is special treatment of children in the age group of 16-18 years who commit heinous offences. The Draft rules prescribe detailed child friendly procedures for police, Juvenile Justice Board (JJB) and Children’s Court. The Board and the Children’s Court are to adhere to the principle of best interest of the child and the objective of rehabilitation and reintegration of the child in the society. Every state Government is required to set up at least one “place of safety” in a State for the rehabilitation of such children. The Rules prescribe for extensive services to be provided to such children through regular monitoring. A principle of JJ Act, 2015 is that keeping children in institutional care should be a measure of last resort. The Act therefore provides for various de-institutionalization measures for children such as adoption, foster care and sponsorship. The Draft rules prescribe detailed procedures to give effect to these provisions. Various models of Group foster care were reviewed and studied before drafting the relevant provisions in the Rules. In addition to these, roles and responsibilities of various functionaries responsible to provide care and protection to children have been re-defined to bring clarity. To facilitate quick and smooth adoption of children, the entire adoption process has been made online and transparent. Simplified procedures have been laid down for adoption by relatives. Child care institutions are required to develop linkages with Specialized Adoption Agencies so that the pool of adoptable children can be increased and these children can be brought into the adoption process. Central Adoption Resource Authority (CARA), which was earlier a society has been given the status of a statutory body to enable it to function better. The Draft Rules prescribe for a comprehensive list of function of CARA, to facilitate its smooth functioning. The JJ Act, 2015 includes a separate chapter on offences against child and several of the offences listed in this chapter were so far not adequately covered under any other law. These include sale and procurement of children for any purpose including illegal adoption, corporal punishment in child care institutions, giving children intoxicating liquor or narcotic drug or psychotropic substance or tobacco products, use of child by militant or adult groups, offences against disabled children and, kidnapping and abduction of children. For the effective implementation of these provisions, the Draft Rules provides for child friendly procedures for reporting, recording and trial. It is proposed that every police station will have child friendly infrastructure, similarly special Children’s Room will be designated in every Court complex. In addition to the Draft Rules, extensive Forms have also been drafted to standardize and simplify prescribed procedures. A total of 49 Forms have been drafted which is more than double the Forms in Model Rules, 2007. Separate individual care forms for children in need of care and protection and those in conflict with law have been created, form for social background report by the police, which was lacking earlier has been developed to assist the police in recording information about children. Form for period review of children in the age group of 16-18 years who are placed in “place of safety”, will assist in proper review of the progress of the child and also ensure children are provided with adequate services for their rehabilitation. Several other forms related to periodic report by probation officer, case monitoring sheet, Comprehensive psycho-social report, Rehabilitation card, etc. will go a long way in better understanding and implementation of the Act and Rules framed thereunder. The Ministry constituted a multi-disciplinary Committee to draft the model rules. The committee comprised of a Senior Judge and advocates, members of Juvenile Justice Board and Child Welfare Committee, representatives of State Governments, representatives of the Ministry of Women and Child Development, mental health expert, and civil society organizations, all working in the field of child protection. After a comprehensive review of the Draft Rules by the Ministry, these are being released today. Thereafter, Adoption Regulations and Model Foster Care Guidelines under the JJ Act, 2015 will also be placed in public domain shortly. Comments are to be sent to the Ministry at email id jjrules2016@gmail.com within 15 days starting from today. Read the draft rules here.